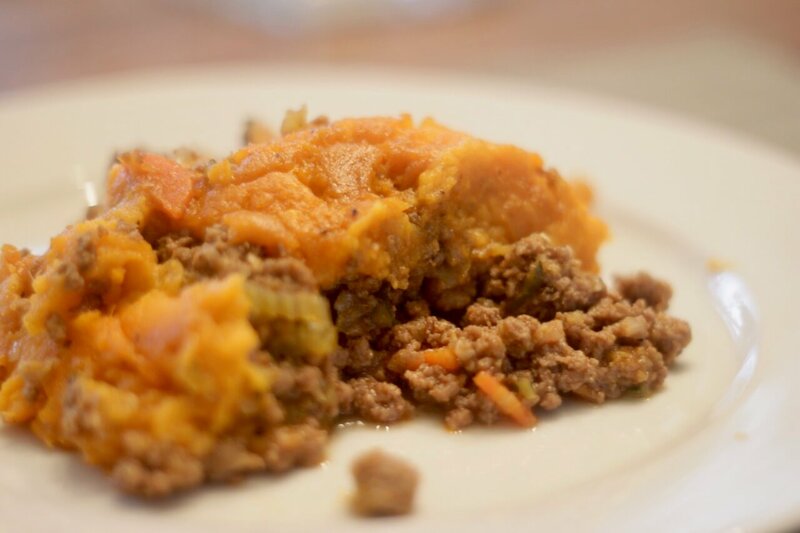 Shepherd's Pie is one of my favorite comfort foods. To make it low-carb we replaced the potatoes with sweet potatoes (lower glycemic index) and added smoked paprika to complement it. 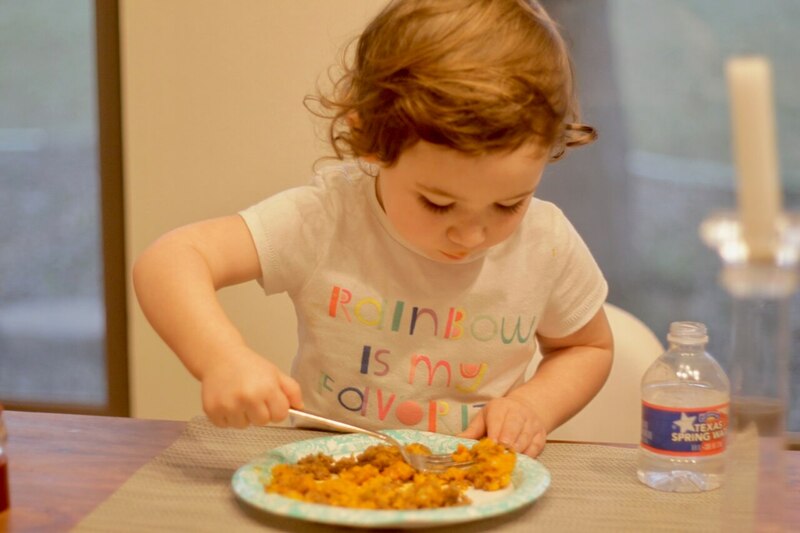 This is the first time I remember our 3 year old asking for seconds! We're using chicken stock in this version, but it would also be delicious with lamb stock or red wine. We also threw in a zucchini we had laying around. This is a great way to use up whatever you have on hand. 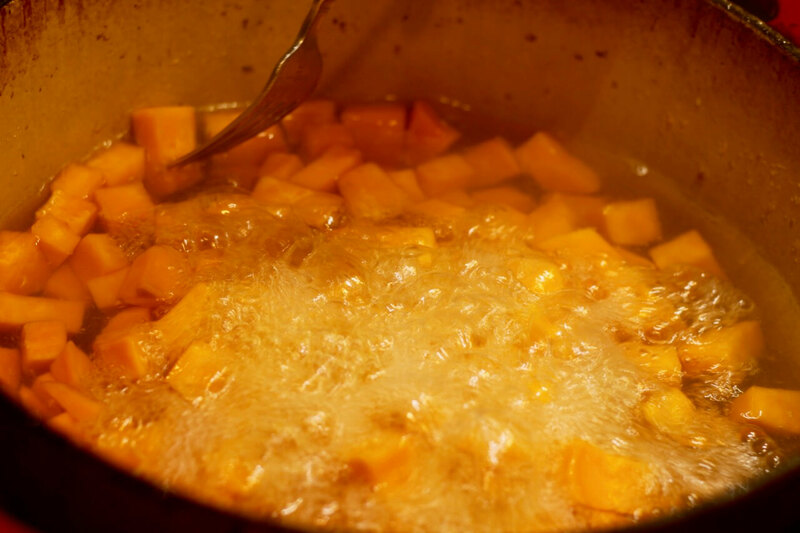 Peel and cut the sweet potatoes into cubes, then boil in a large pot. Once they are fork tender, strain and move to a bowl. 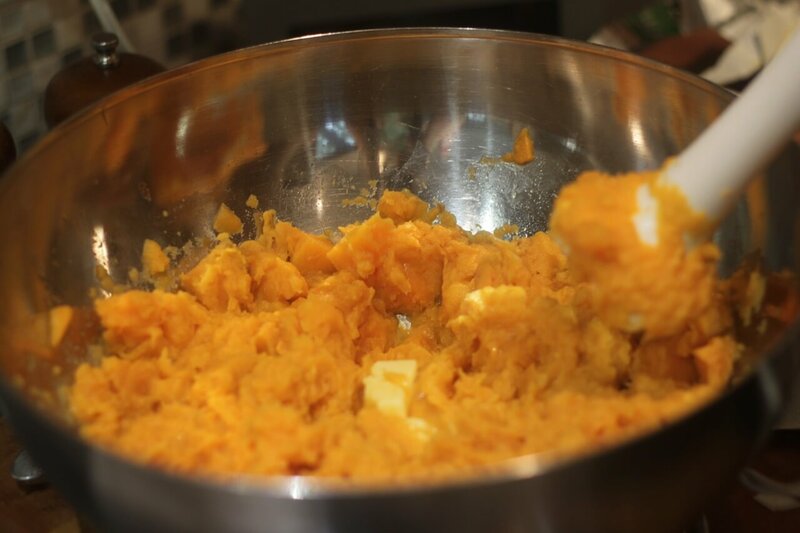 Using an immersion blender (or food processor), mix in 2-4 tablespoons of butter (to taste), and season with salt and pepper. 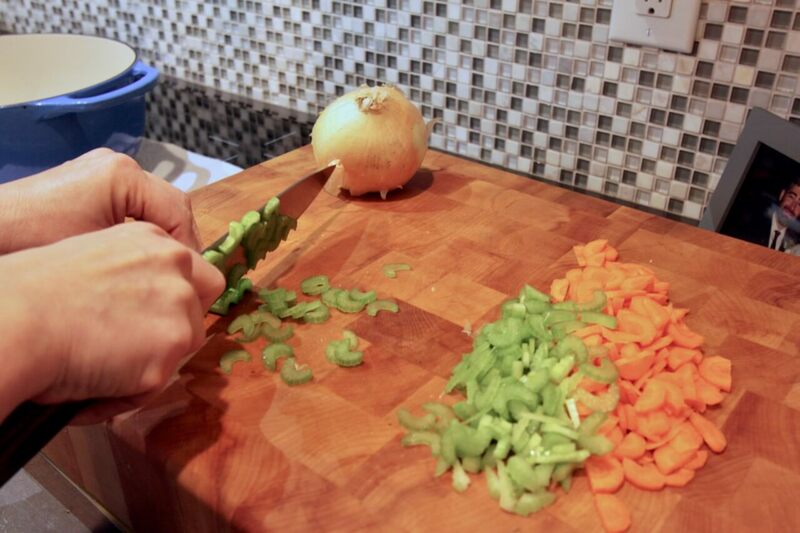 While the sweet potatoes cook, dice the onion, carrots, celery, and garlic. In a dutch oven, add some olive oil and saute the ground lamb until cooked. 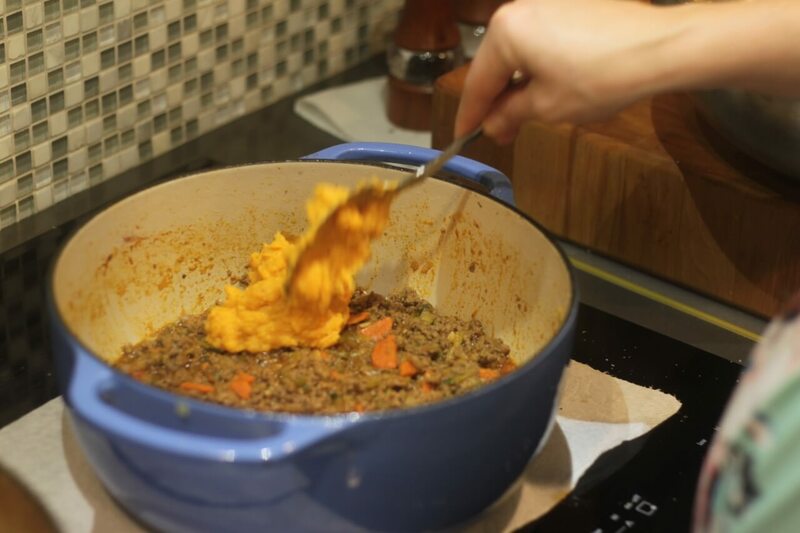 Using a slotted spoon, move to another bowl. 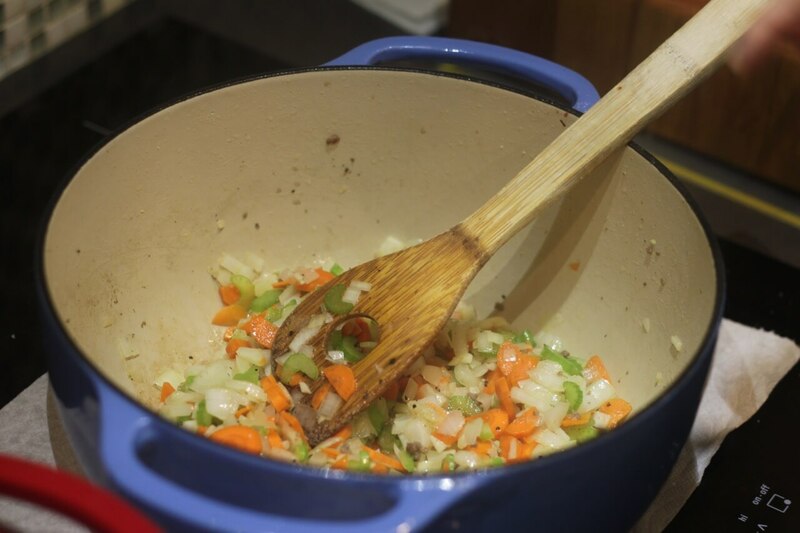 Add the diced vegetables (all except zucchini) to dutch oven and cook on medium heat until soft (about 15 minutes). Add the diced zucchni and cook for another 5 minutes, until soft. Add the spice blend (1Tbsp each paprika, smoked paprika, and onion powder) and stir well. 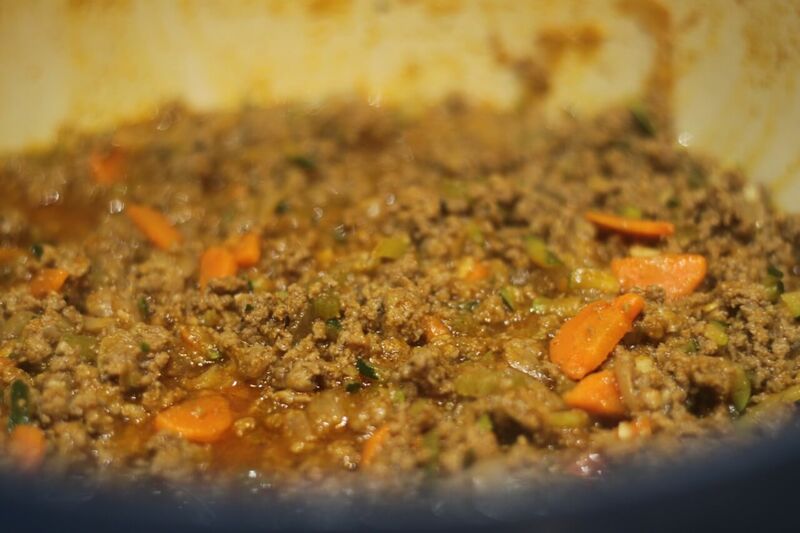 Mix in the ground lamb, then add the cooking liquid. Reduce until most of the liquid has evaporated. 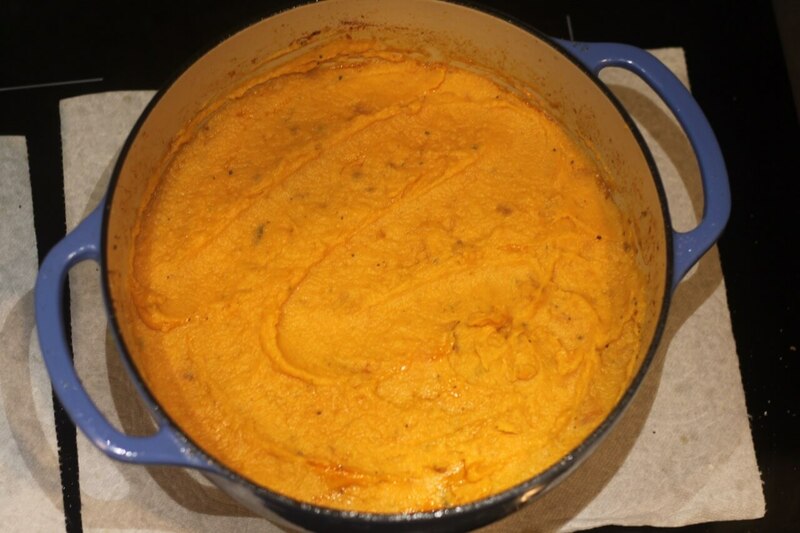 Spoon on the sweet potatoes, and smooth flat. 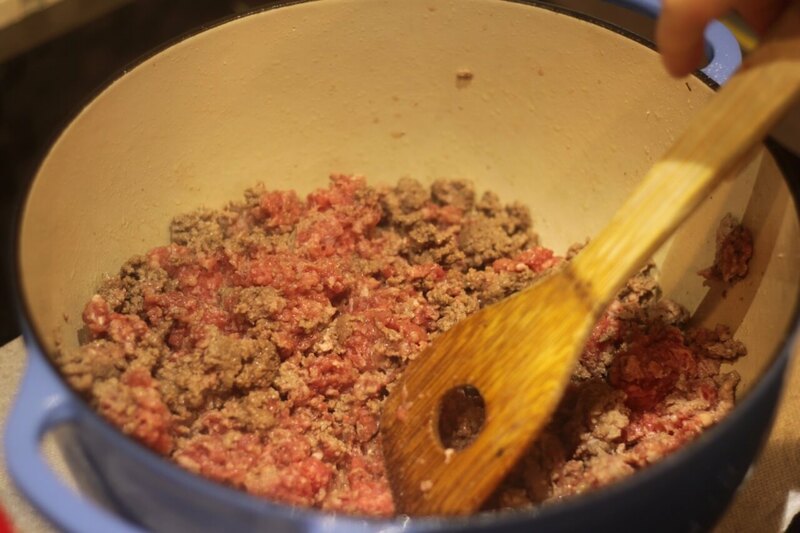 Place in a 400° for 20 minutes, then let rest for another 10-15 minutes before serving.